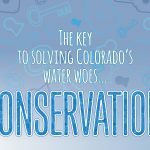 That’s why EDF and WestWater Research have been studying alternative methods for managing water in Colorado. In a new report released this past week, we analyzed Alternative Transfer Methods (ATMs) and developed recommendations that will allow for their implementation on a broader scale. 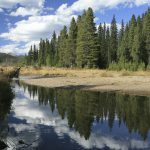 Colorado’s population growth is expected to widen the gap between water supply and demand, with a projected deficit of 500,000 acre feet annually by 2050. That’s a lot of water – enough to leave 500,000 or more households high and dry each year. To address this gap, cities in Colorado have turned to their agricultural neighbors for water, using “buy and dry” to secure water rights. 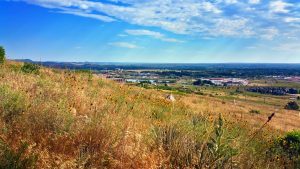 When combined with development pressure, Colorado has lost 850,000 acres – about 25 percent of the state’s irrigated farmland – and is projected to lose another 20 percent in the years to come. So how can the state continue to grow without drying up valuable farmland and impacting rural economies? That’s where ATMs come in. ATMs are flexible and innovative ways to maintain farmland viability and introduce a new source of income for agricultural producers, all while freeing up water to meet demand in cities. This approach enables farmers to “create” – or free up – water on agricultural land and “lease” it to different users. That might mean a farmer deficit irrigates his or her land and transfers water into a water bank, fallows some fields and leases water during a drought, switches to a less water-intensive crop and leases the savings, or combinations therein depending on the circumstances. Why haven’t ATMs been more widely adopted in Colorado? It’s a story of classic market failure. While buy and dry is cheap and easy to implement, it produces external costs to society and the environment. Meanwhile, the benefits of ATMs are drowned out by the complications caused by water court processes, engineering and legal fees, and administrative obstacles. In Alternative Water Transfers in Colorado, we examined two Colorado cities to determine whether recent changes to state water-rights policies had the potential to make ATMs easier and less costly to implement, therefore opening the door for them to be used more broadly. We found that, in the short term (less than 30 years), most ATMs were cost competitive for cities over “buy and dry” and other traditional water acquisition methods. That’s a promising result. Especially given a recent study by Colorado Cattlemen’s Association, which showed that agricultural producers are interested in leasing their water. 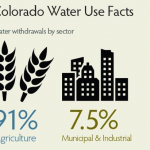 The conventional wisdom in Colorado has been that it’s too expensive to lease water. Now we know that ATMs are not only a novel approach to water management, but also a unique opportunity for cities to be part of the solution – providing safe, reliable drinking water while maintaining farmland and promoting healthy streams. 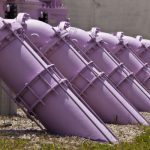 What we need now are cities that are willing to try something a little bit different, and match them up with agricultural producers who are willing to flexibly manage their water. Hurdles – both cultural and legal – lie ahead and will need to be addressed. But we’re confident that ATMs provide the flexibility we need to reallocate water to where it is needed most, without drying up our farms or degrading our streams. This was originally posted by The Environmental Defense Fund.